I didn’t intend for this blog to suddenly become PastaQueen’s book review bonanza, but that’s how everything landed, so let’s just go with it, ok? 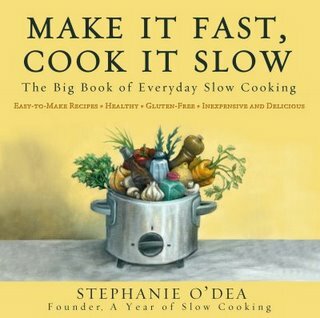 My friend, Stephanie O’Dea, who blogs at A Year of Slow Cooking just released her first cookbook, smartly titled Make It Fast, Cook It Slow: The Big Book of Everyday Slow Cooking. Please note the usage of the word “slow cooker” and not “crockpot” which is a trademarked term that we will avoid for fear of litigation. Steph sent me a copy of her book, so I decided to kill two birds with one stone, or rather kill half a peck of apples with one recipe. 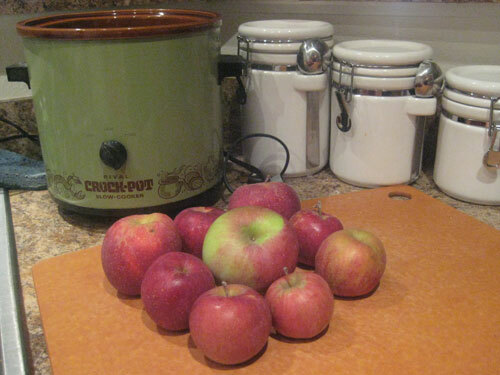 I dug out my mother’s slow cooker, which is literally older than I am, and grabbed nine apples from my freshly picked peck, to make the Apple Crisp recipe on page 402. 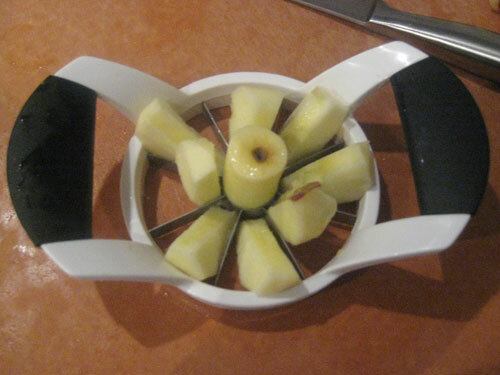 This meant I got to use my favorite kitchen appliance, the apple slicer! 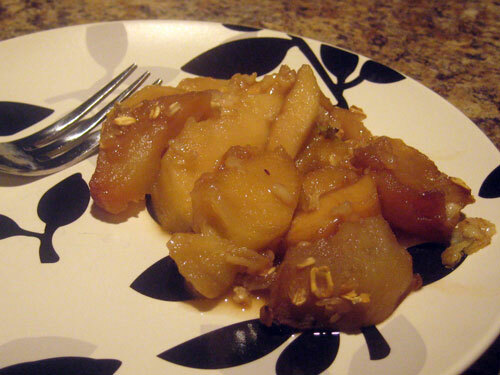 My knife skills are nothing to brag about, so I spent at least 15 minutes peeling the skin off of the apples, but once that was done it was very easy to literally throw this recipe together. I tossed all the ingredients into the slow cooker (not the crockpot!) and then cooked it on high for a little over two hours. The result was a warm, yummy treat for a cool October afternoon. As a bonus, the apartment smelled really nice too.The recipe uses butter and brown sugar, so it’s not exactly a low-calorie desert, but that’s probably also why it tasted so good :) I did substitute the 1/4 cup of orange juice for Crystal Lite peach tea in a compulsive effort to cut calories and it turned out just fine. I don’t really like to cook, so I like the idea of dumping a lot of stuff into a slow cooker and having a finished meal a few hours later. I was also surprised by all the different types of food you can cook in a slow cooker, like desserts, lattes, and dip. There is a recipe for an egg, feta and mushroom breakfast casserole that I’m going to try out soon too. 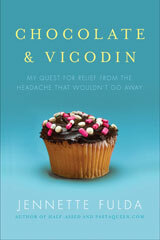 You can buy the book on Amazon, or read more about it on Steph’s book page. Earlier: Blogger’s Secret #1: When you don’t want to write a real entry, post cat pictures instead! A slow cooker is the #1 item on my Christmas wish list. I cannot wait to start making delicious things in it!! We have the same ceramic containers…only mine are blue! i have the exact same (also my mom’s) slow cooker :) right now it has stephanie’s black eyed pea & sausage soup in it! 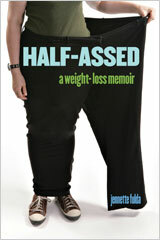 Guess she had to change the name of her blog for the book, eh? ;) I’ll have to check that book out…I love my Crock Pot. Yum! 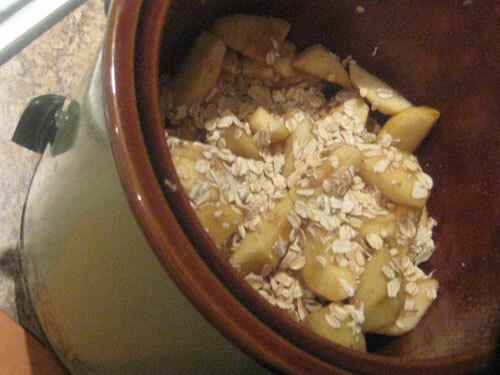 Will have to try this recipe – it might actually incentivise me to eat oatmeal! My mother has the exact same slow cooker too! And she still uses it… those things last forever! I’m happy you enjoyed the apple crisp! Thank you for posting this—I had a ball with this project. After my grandmother died, I inherited her slow cooker–the very same one you have. One night I decided to make two dinners to save food prep time later in the week. I made my grandma’s amazing peachy BBQ chicken in it before I went to bed only to wake up from my cat meowing and furiously pawing my bedroom door around 3am. I had forgotten to turn off the slow cooker and inadvertently burned my chicken into little hockey pucks, quite possibly nearly setting fire to the house in the process. I never was able to rescue the slow cooker but to this day I credit my cat for saving our life. And I promptly purchased a Crock Pot with a timer to avoid similar mishaps in the future. You can actually peel apples with a veggie peeler. :) It makes it go 800x faster. I love Stephanie’s website and I just got the book yesterday, but was a bit sad to see there were no pictures. Oh well! I can’t wait to make some of the recipes. Looks delicious! I’m trying to find a good, low calorie recipe for Apple Crisp! Yumm! My mom also has the same crock-pot. I am 35 and that crock-pot, is the only one I remember her having. I watched Stephanie’s segment on Good Morning America and made the entree, the Maple Dijon Chicken recipe. It was delicious. It calls for 3 T of maple syrup and I thought it was a little sweet so I might reduce it next time.